Glassman, Wyatt, Tuttle & Cox, P.C. regularly defends legal professionals sued for malpractice or facing Board of Professional Responsibility hearings. Senior Shareholder Richard Glassman and Partner Ed Wallis filed a motion to dismiss against a lawyer sued in Tennessee federal District Court for the alleged violation of a plaintiff’s civil rights, and the Court granted the Rule 12 motion to dismiss, holding that the Firm’s client was improperly sued and untimely sued. The case was dismissed without any discovery. The Firm has assisted attorneys that have been sued across the Southeast, including in Tennessee, Arkansas and Mississippi. Likewise, Glassman, Wyatt, Tuttle & Cox, P.C. has represented attorneys facing Motions to Withdraw, Motions for Sanctions, Rule 11 Motions and more. The Glassman, Wyatt, Tuttle & Cox Legal Malpractice Defense Team is experienced in handling all types of professional liability claims against attorneys, working with some of the nation’s top insurance carriers and likewise assisting attorneys as personal counsel in a variety of legal disputes. 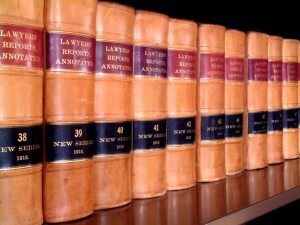 We defend attorneys in a broad range of professional disputes in virtually any practice area, ranging from real estate closing errors/omissions to the ineffective handling of a lawsuit. Glassman, Wyatt, Tuttle & Cox has been recognized by U. S. News and World Reports in its national survey as one of the best law firms in the United States for legal malpractice defense. Senior Shareholder Richard Glassman is ranked as one of the Best Lawyers in America for Legal Malpractice. The Firm’s Attorneys, including Richard Glassman, Ed Wallis, Lauran Glassman Stimac and Jonathan Stokes, regularly present at continuing education programs on fields related to legal malpractice and legal ethics. Our firm prides itself on its ability to help attorneys in a crucial time of need, and our attorneys work tirelessly to help our legal malpractice clients and their insurance carriers. For more information about the Firm’s legal malpractice defense team, please Click Here.